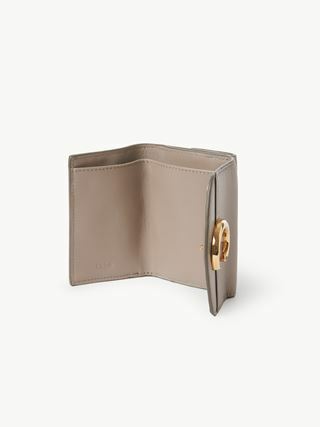 The Maison's namesake mini tri-fold wallet is perfectly sized to hold the bare essentials. 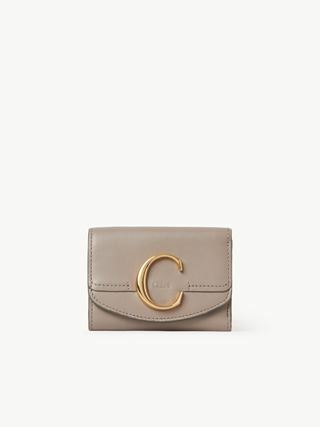 Cut from an elegant mix of shiny and suede calfskin, this accessory has convenient snap buttons that open to reveal a compact yet organised interior. The line's signature “C“ adorns the flap for a bold jewellery effect, while the Chloé embossed logo adds a final flourish.